I am 17 years old, and for as long as I can remember I’ve wanted to be a heart surgeon. I’m a senior. I haven’t graduated high school yet and its already been difficult for me to pursue my dream. I’ve had many people, mostly family members, tell me that I shouldn’t become a heart surgeon. My mom has had the heaviest participation in this. My mom not only believes that becoming a heart surgeon is a waste of time because I need to study something that will “make money right away”, but also because she doesn’t believe I’m strong enough to become one. She doesn’t understand that the reason I want to become a heart surgeon has nothing to do with money. It is a calling that I was born with. It is a dream that I can not let go of. It is something far greater than myself. I have doubted and questioned myself many times, but time and time again I have realized that this my passion and I just refuse to let it go. 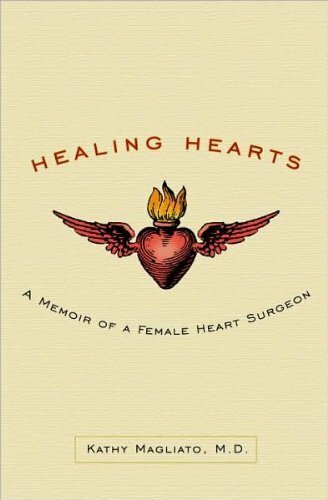 I recently read your book Healing Hearts, and I just had to let you know what a great inspiration you are to me. Reading your book has given me fresh determination to keep on fighting for what I love. I hope to one day become half as great a doctor as you. Thank you for inspiring me.